Below you can view all the highrises for sale in the Allure subdivision located in Las Vegas Nevada. Listings in Allure are updated daily from data we receive from the Las Vegas multiple listing service. To learn more about any of these highrises or to receive custom notifications when a new property is listed for sale in Allure, give us a call at 702-323-5939. Very spacious bathrooms with large tubs. MLS#2088997. Simply Vegas. Home features an open floor plan with granite kitchen countertops, breakfast bar and Berber carpet. MLS#2088691. Simply Vegas. 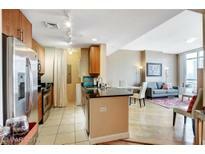 If You'Re Looking For A Gorgeous High Rise Condo, Las Vegas Blvd Across Sls Casino Near Exit Ez In And Out, This Is It! MLS#2086021. Vegas Capital Realty. Steps From the Finest Shopping & Dining in the World*FULL size (Side-by-Side Washer&Dryer)*6th Floor State-of-the-Art Amenities:Fitness Ctr;Conference Rm;LoungeRm;Free Wi-Fi+FREE Access to computers;24 hr Security & MORE! ! MLS#2087957. Pacific International Realty. Darling 2 bed 2 bath townhouse on the edge of Summerlin in gated community*Kitchen w/granite counters,glass tile back splash, breakfast bar, microwave, stainless steel appliances*Large Master bedroom*secondary bedroom w/bath*1 car garage MLS#2087781. RE/MAX Advantage. 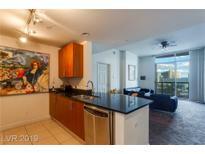 Luxury High Rise condo on the 31st floor, Great City and Mountain Views MLS#2086685. Proximity Capital. Construction litigation settled winding down completion of the work. MLS#2085153. 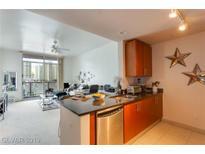 Realty ONE Group, Inc.
New floors, stainless appliances and granite counters. MLS#2083964. Assurance Realty LLC. This unit features Wood & Tile Flooring, Granite Countertops in the Kitchen,Marble Countertop in the Bathroom,Ceiling to Floor Windows in both Bedroom and Living Room,Stainless Steel Appliances.This unit is Centrally located near the strip and easy freeway access.The Community offers Multiple Amenities.The Night & Day View of the Strip & City is Awesome. MLS#2081153. Limestone Investments LLC. Valet, Dry Cleaning, Tech, Conference, Social Events, Dog Walking To Name A Few! That's Allure! MLS#2078921. Genesis Realty Group. *Stainless Appliances, 3 Separate Balconies with Polar Shades throughout *Excellent Allure Amenities include Concierge Services, Business Center, Fitness Center, Pool, Spa, 24 Hour Guard Gated Security *Easy Freeway Access MLS#2074785. Realty ONE Group, Inc.
33rd flr furnished condo-1 bdrm & den with spectacular downtown views, all windows from ceiling to floor,bedroom-custom walk-in closet, plus den or office or 2nd bedroom,kitchen-stainless steel appliances, granite counters,island,building amenities such as pool,spa,fitness center,valet,business center,garage parking,concierge.. MLS#2071174. The International Team. Conveniently located to all Las Vegas has to offer. MLS#2070340. Signature Real Estate Group. Enjoy This Beautiful , Luxury, Highly Upgraded, Spacious 1 Bedroom Floor Plan Overlooking The Strip***bamboo Wood Floor**granite Counter, Custom Cabinets, Stain Steel Appliances***large Sized Balcony***enjoy All The Amenities Of Pool, Spa, Exercise Facility, Lounge Area,Internet Room ,Parking Space On The Same Floor, Conf Room*** walking Distance To Casinos, Restaurants, Shopping And Much More** MLS#2061535. Keller Williams Market Place. Steps From the Finest Shopping & Dining in the World! MLS#2058805. The TwentyTwo Group LLC. 2 masters with private terraces, hardwood floors, stainless appliances, window shades, guard gated, valet, concierge, fitness center, pool, 2 assigned parking spaces and storage unit are included with unit! ! MLS#2057944. eXp Realty. All Amenities You Will Love!! All Offers Considered! MLS#2003047. BHHS Nevada Properties.